(CBSNews.com) – Miami is using specialized trucks for the first time to kill mosquitoes that carry the Zika virus, spraying what’s being called an environmentally friendly and organic bacteria called BTI. But a second chemical is sparking safety concerns, reports CBS News correspondent David Begnaud. 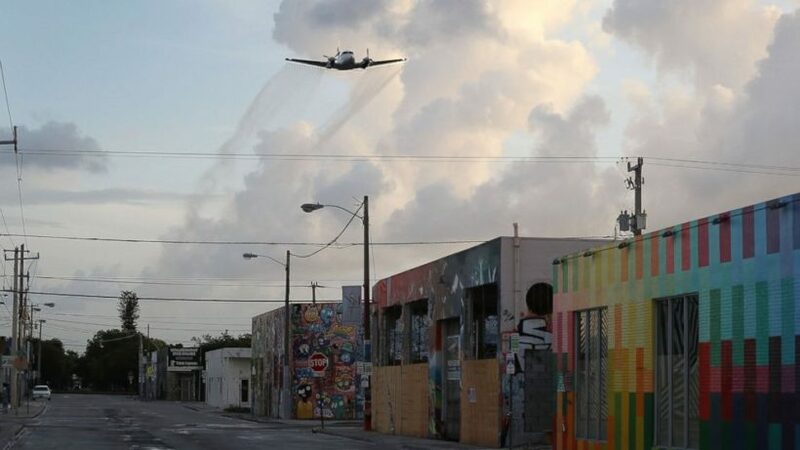 Early Tuesday, Buffalo turbine trucks drove through Miami Beach spraying BTI, which Miami officials hope will kill off Zika’s carrier, the Aedes Aegypti mosquito. In August, the county began aerial spraying in Wynwood – a Zika zone north of Downtown Miami, alternating between BTI and a powerful neurotoxin called Naled. Though effective, Naled is controversial. The insecticide was banned from the European Union and protested in Puerto Rico — one of the hardest-hit Zika zones in the world. Officials there say Naled is dangerous for pregnant women and could result in their babies developing behavioral issues. But the CDC and the EPA both insist it’s safe. Florida Governor Rick Scott said the CDC is recommending Miami Beach use helicopters to spray BTI. But Miami Beach Commissioner Michael Grieco said the people in his community are opposed to the aerial spraying. Grieco is calling on Miami-Dade County to stop using Naled altogether when they spray, even though it’s proven to be effective. CBS News has contacted the CDC, who said that the decision whether or not to aerial spray is ultimately up to Miami Beach. 1. What is Zika? How is it spread? 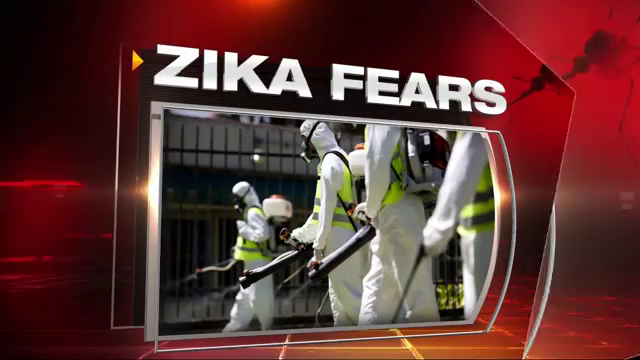 What effect does the Zika virus have on humans? 3. What is BTI? How does it work? 4. What is Naled? How does it work? 5. Why is Naled controversial? 6. a) What is the CDC? What is its role? b) What is the EPA? What is its role? c) What do the CDC and EPA say about the use of Naled? Tanjim Hossain said Naled can kill anything. Is he referring to any insect, plant, animal, person? Why did the European Union ban Naled while the U.S. agencies recommend using it and say it is safe? What tests have been done on Naled that demonstrate it is safe to use? Read about Naled at the EPA’s website. In August, the CDC announced that pregnant women should avoid traveling to Miami-Dade county. This area is a top tourist destination that generates a lot of its revenue from tourists. Many of its businesses/employment depend on tourism. a) If the CDC and EPA say Naled is safe and effective, should it be used? Explain your answer. b) Would being a resident of Miami-Dade affect your answer? Please explain. 8. Read the Background below. If Zika MIGHT cause microcephaly in even a tiny percentage of babies born, what should be done to solve this problem? Zika virus disease (ZVD) is carried by the same mosquito, Aedes aegypti, as other Third World diseases, including dengue and chikungunya. Zika is asymptomatic [producing or showing no symptoms] in about 80 percent of infected individuals. In about 20 percent, it causes a mild, self-limited disease with fever, rash, joint pains, and conjunctivitis (red eyes). Some 4,000 babies in Brazil have reportedly been born with severe birth defects, including microcephaly (small head), and officials suspect Zika is the cause. Zika is [not] new. It was first identified in humans in 1947 in Uganda’s Zika Forest. What is new…is the association with microcephaly and other fetal harm. So far the microcephaly cases are all in Brazil, not in the 35 other countries with Zika, though an earlier cluster was observed in 2014 in French Polynesia. Brazil had seen an increase in pertussis (whooping cough) in fully vaccinated children, so early in 2015 officials mandated immunizing all pregnant women with DTaP (diphtheria/tetanus/acellular pertussis) vaccine, without awaiting proof of efficacy or safety in the developing baby. Only 32 pregnant women were enrolled in a trial of this vaccine, and no results are posted yet. Read about the Zika virus at the Centers for Disease Control and Prevention (CDC) website. Read the CDC’s Visit the Facts about Microcephaly page at the CDC website. page.